It is a great pleasure to be back in Scotland and join you for today's celebration. To begin with, I would like to extend my heartfelt congratulations to the Confucius Institute for Scotland's Schools (CISS) on your fifth anniversary. I also want to give you a big hand on becoming a Model Confucius Institute. This is my second visit to Glasgow. Last time I came in the height of summer. The warm feeling of the Scottish people for the Chinese people deeply impressed me. This time, I came in the golden autumn. If my first visit was a trip to "forge friendship", this time I call it a trip to "deepen cooperation". I have come to renew our friendship and strengthen cooperative ties. His words remind me of Eric Liddell, the famous Scottish athlete, and his story with China. Born in the Chinese city of Tianjin and a graduate of the University of Edinburgh, Eric Liddell was a genius runner. He won an Olympic gold medal in 400 metres. In the 1920s, he returned to his birthplace in China and became a middle school teacher. He spent 20 years there and was loved dearly by his students. After the Japanese invasion of China, he was detained by the Japanese aggressors and sent to the concentration camp in Weifang. Despite the ill fate, his spirit was strong. He wrote textbooks and continued to teach the children at the camp. In those harsh times, he brought love and sunshine to the hearts of the children and was lovingly known as "Uncle Eric". His life was short, but what he did is an ode to China-Scotland friendship and educational exchange. His name and story have lived on. This touching story is one of the many examples of the educational exchanges between China and the UK, particularly between China and Scotland. 70 years after Eric Liddell's story, China-UK educational ties have grown closer and educational cooperation has delivered many outcomes. The Confucius Institute in the UK is growing fast. It has become a vivid example of cultural exchanges between our two countries. At present, there are 29 Confucius Institutes and 145 Confucius Classrooms across this country. The number of registered students has exceeded 130,000, more than that of any European country. Scotland is home to five Confucius Institutes. That means there is one Confucius Institute for every one million people in Scotland. Therefore, in terms of Confucius Institutes per head, Scotland has a higher ratio than any other place in the world. This in a sense reflects the Scottish people's enthusiasm for the Chinese culture. 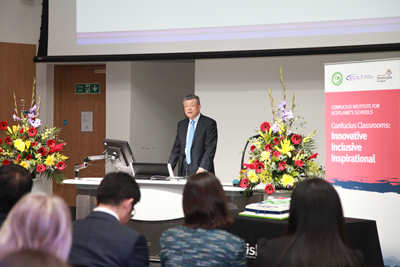 Five years ago, the Confucius Institute for Scotland's Schools was officially established. CISS is the first inter-governmental Confucius Institute. This achievement is accredited to the joint efforts of Tianjin Municipal Educational Commission, Scotland's National Centre for Languages and the University of Strathclyde. Over the past five years, CISS has made good use of the educational resources of both China and Scotland and worked vigorously to adapt to the local needs. You have found a unique way in language teaching and cultural exchanges. I would like to summarize the progress and success of CISS with your own acronym, C-I-S-S. The first letter C is for Collaboration. Since establishment, CISS has worked closely with the University of Strathclyde and always heeded to the local need in education. Your creative endeavours have helped expand its cooperation to wider fields. Now, CISS has partnered with many professional institutions such as the Scottish Opera, the Scottish Schools' Football Association, Royal Conservatoire of Scotland and the Royal Zoological Society of Scotland. 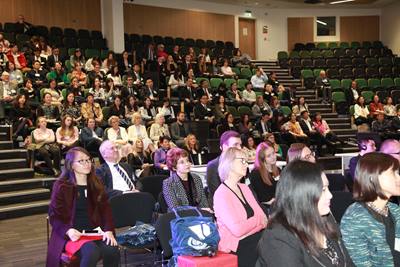 With active and engaging efforts, CISS has not only won many Scottish friends for the Confucius Institute. You have also significantly promoted Scotland's cooperation with China in education, culture, sports, business, etc. The second letter I is for Inspiration. CISS is the only Confucius Institute in Scotland devoted to middle and elementary school education. You kindle the fire in the hearts of young people to pursue their dreams. You build a platform for those who love the Chinese language and culture. And you help bring up a generation of young ambassadors who promote China-UK friendship. In turn, these young people inspire more people to pursue their dreams. They will sow the seeds of friendship, which will grow to bear fruits. Here I wish to once again thank the governments of Tianjin and Scotland. Thanks to their joint efforts, financial support by Confucius Institute for pupil exchange is now made available where needed. This further facilitates our children to study and learn each other's language. And I want to commend CISS for being an important window on China and for helping the Scottish people learn more about China and build closer friendship with China. The third letter S is for Support. Scottish Government pays top attention to international education and language learning. It has opted for a 1+2 approach to language learning. This makes sure that every child in Scotland has access to learning a second foreign language including Chinese. CISS has been an active advocate and played a key role in supporting this policy. At present, Chinese language courses are available in more than 400 schools across Scotland. Chinese is officially a second foreign language in 86 elementary schools and 37 middle schools. And it has overtaken Gaelic and Italian as a popular choice of second foreign language. The Confucius Institute has also launched the Business Brunch project. This is a strong support for Scotland's policy of Developing Young Workforce through education by "raising attainment and closing the gap." The fourth letter and another S is for Swiftness. Although it has been only five years since CISS was established, huge progress has been achieved. This should be accredited to the joint efforts of the faculty members from both China and Scotland. Five years ago, CISS had only nine teachers. Now, there are 50. Five years ago, there were only 9 Confucius Classrooms. Now there are 44, including the one in as far north as Shetland. In five years time, about 30,000 students have studied in CISS. No wonder the colleagues from other Confucius Institutes admiringly call CISS the "Chinese high speed train in Scotland." While we are amazed by the achievements of CISS, we must never forget the commitment and contribution of the Confucius Institute staff and the support of people from all walks of life. I would like to take this opportunity to pay my highest tribute and extend my sincerest thanks to everyone present today. Please pass on my appreciation to all the friends who have given their support to the development of CISS and other Confucius Institutes. We are living in a time of vigorous and productive exchanges between diverse civilizations. We are living in a time of mutual learning for common progress. Today, more than 100 million people across the world are learning Chinese. The Confucius Institutes are serving as a bridge to link the hearts of people around the world. They are a channel to spread love and friendship. They are a platform to build up understanding and strengthen cooperation. In 2015, Chinese President Xi Jinping paid a successful state visit to the UK. 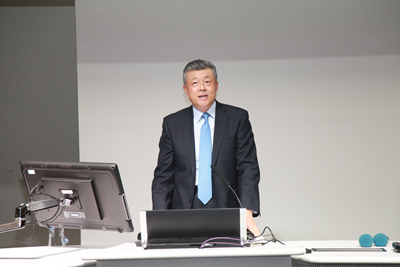 The visit heralded the China-UK "Golden Era". During the visit, President Xi unveiled the 1000th Confucius Classroom of the world. I hope the Confucius Institute will continue to live by its motto of "mutual respect, friendly consultation, equality and mutual benefit" to make even more contribution to the spread of cultures, heart-to-heart communication and diverse development of the human civilization. I think President Xi has pointed out the way forward and set a grand objective. "Appreciate the beauty of an alien culture as do one's own and let the beauty of different cultures be shared. That is when there is harmony under the sun." 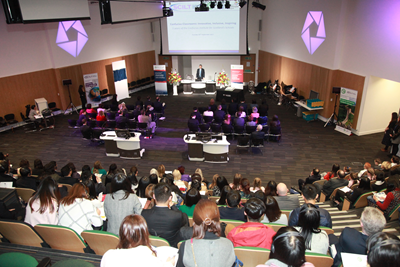 The Confucius Institutes in Scotland, represented by CISS, will make even greater progress. You will carry forward China-Scotland cooperation and friendship. You will continue to facilitate mutual learning and exchanges between Eastern and Western civilizations. And in this process, you will contribute to an enduring China-UK "Golden Era".